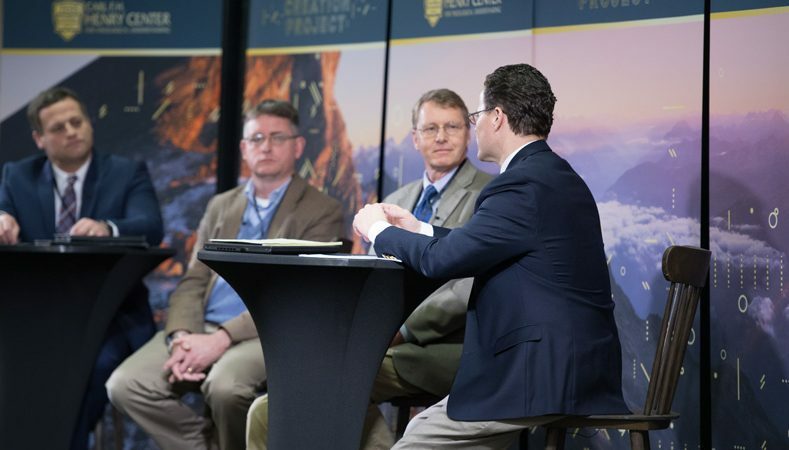 Tom McCall moderates this discussion between Kevin Hector (Schleiermacher), Bradley Gundlach (Warfield), and Fred Sanders (Pope) as part of A Modern Creature conference. They discuss God’s providence over primary and secondary creation, the continuity between creation and new creation, and more. Thomas H. McCall (PhD Calvin Theological Seminary) is Professor of Biblical and Systematic Theology at TEDS and Director of the Henry Center. Kevin Hector (PhD Princeton Seminary) is Associate Professor of Theology and of the Philosophy of Religions at the University of Chicago Divinity School. Bradley Gundlach (PhD University of Rochester) is Professor of History at Trinity International University. Fred Sanders (PhD Graduate Theological Union) is Professor of Theology in the Torrey Honors Institute at Biola University.